In need of a kitchen appliance service technician in Airdrie, Alberta? 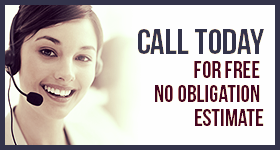 All you have to do is keep our number and call our company when the need arises. From stoves and ovens to freezers and refrigerators, we service all major appliances in the kitchen. Our pros have the expertise and keep up to date with new technology. Not only do we offer fast kitchen appliances repair in Airdrie, but also fix all makes and models. Kitchen appliance repairs become easy and hassle free with our help. We are an affordable company and our local techs are trained to service any appliance in the kitchen. From large to small ones, we are masters in our work and have a very long experience in this business. No matter how advanced some appliances are today, rest assured that our pros have the knowledge and knowhow needed to repair them. Call us for any home appliance repair in Airdrie. No matter which appliance is not working as it should, our pro will be prepared for the service. 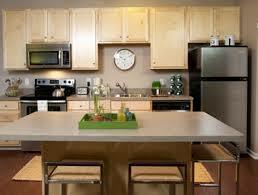 We come promptly and fully equipped for any kitchen appliances repair service. We troubleshoot the problem and do what we must in order to fix the appliance. Most of the times, appliances fail to perform right when their parts are either worn or broken. For your convenience, our pros carry all needed spares with them. We replace any fridge, oven, range, or freezer component on the spot. Our pros from Appliance Repair Airdrie are always prepared to service your faulty unit. Our experts are responsive and the price for the service is provided upfront. We are a transparent team and have the skills to fix your faulty kitchen appliances. You can always depend on our company. Get in touch with us now if you want kitchen appliances repair Airdrie service today.